1. 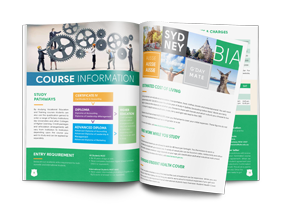 How do I apply for entry into the Business Institute of Australia? You need to complete an application form and send it back to us by mail or email. For an easy step-by-step guide, please visit our How to Apply page on this website. 3. I want to study at University. Can you help me? The Business Institute of Australia is a vocational institute. You are eligible to apply for credit at university for your studies at the Business Institute of Australia. For more information, please make an appointment to see our the Principal. 4. Can I get a job in Sydney? 5. Is the Business Institute of Australia an accredited organisation? Yes, the Business Institute of Australia is accredited by Australian Skills Quality Authority (ASQA). ASQA is a government registration/accreditation authority. The Business Institute of Australia is listed on the government’s National Training Information Service (NTIS) database. 6. How many hours a day should I study? International students at the Business Institute of Australia are required by the Department of Immigration and Border Protection (DIBP)to be on campus for a minimum of 15 hours of face to face and 5 hours of online teaching each week. 7. Is it possible to live on campus? The Business Institute of Australia does not offer any accommodation. However, we can assist you in finding accommodation during your stay in a student house or home-stay. 8. Can I pay for tuition and other fees by credit card? Yes. Credit card facilities are offered at the Business Institute of Australia. Please see reception for more information. 9. Can I extend my visa in Australia? We recommend that you ask the Department of Immigration and Border Protection (DIBP) about extending your visa. 10. What is the length of the course? Our courses are from 6 months of study to one year’s duration. 11. Can I pay by instalments? Yes, you can pay the course fee on a term by term basis. Please contact accounting department for more information. 12. I have already passed some of these subjects at another institute, or at work. Do I need to study these parts of the course again? No, not necessarily. You can apply for Recognition of Prior Learning (RPL). Please contact Academic department for further information. 13. How do you timetable the courses? The current timetable is flexible, Monday to Saturday and a choice of shifts is available. However you must study on campus for 15 hours per week plus 5 hours of online study each week. 14. Do I need to do an IELTS examination to get into VET programs? To study VET programs you need an IELTS score of 5.5 (or equivalent) and a minimum of an Australian Year 12 or equivalent. 15. How long can I study on a student visa? 16. Do I need a visa to study in Australia? Yes. To be granted a student visa you must complete a student visa application form, lodge it with the Department of Immigration and Border Protection (DIBP) and pay the visa application charge. Your visa is granted if you intend to study a registered course on a full-time basis and comply with visa conditions. 17. Can I work in Australia while I study? Yes. International students in Australia on a student visa can apply for permission to work up to 40 hours per fortnight during course time and full-time during vacation periods. You can only apply for work rights after you arrive in Australia. Please visit the Department of Immigration and Border Protection (DIBP) website to find out about conditions for working while studying and how to apply for permission to work. 18. I have obtained my student visa. What does all the coding mean on the visa document? 19. How long can I study on a tourist/visitor visa? 20. Can I apply for a tourist visa over the Internet? 21. Can I extend my stay in Australia? 22. Do Australian resident students have to pay tuition fees? Yes. Most private colleges receive no government funding. All students are required to pay fees to contribute to the institute’s tuition and facilities. 23. Can I have holidays? Please refer to the Academic Calendar on the website for the Vocational courses start and break dates. 24. Will I receive a institute student ID card? On your first day at our institute at orientation, you will receive your student ID card. You can use your student card for getting student discounts on entry to cinemas, theatres, museums, aquariums, art galleries etc. but not for public transport. 25. Will I need to buy textbooks? Not all students are required to buy textbooks. Your booklist requirements will be explained in more detail at orientation. 26. Can the institute help me if I am having difficulties with my studies? Yes. Any difficulties with your studies should be discussed with the trainer or course coordinator. 27. Can the institute help me open a bank account? Yes. We will provide you with a letter stating that you are enrolled as a student at our institute . The letter includes your name, address in Sydney, date of birth and dates/length of course. You will need to take this letter along with any other documents needed. 28. What should I do if I get sick and need to go to the doctor? 29. Can I get student concessions on transport (buses, trains, ferries etc.)? 30. What can I do in my spare-time? 31. How much money do I need per month to cover living expenses? 32. What's the weather like in Sydney? 33. Can I use Internet services at your institute ? 34. What are the classrooms facilities like? Our institute is a comfortable learning environment. The classrooms and computer area and other facilities are fully air-conditioned. We have fully equipped computing labs and online access to the e-library. 35. Are your Trainers qualified? The strength of our institute is our highly qualified team of Trainers & Administration staff, who have substantial qualifications and experience in their fields. 36. How can I pay my fees? 37. Are my tuition fees secure? Yes. As soon as you pay your tuition fees they are held in a trust account until you commence your studies. 38. Can I study part-time? For more information on your visa conditions, please visit Department of Immigration and border protection website. 39. Can I bring my family with me? For more information, please visit Department of Immigration and border protection website. 40. Do I have to pay overseas student health cover? Yes. Australian Government regulations state: It is a condition of the grant of your Overseas Student Visa that you have acceptable health insurance cover during the whole time you are in Australia. To be covered for health insurance, you will need to pay the Overseas Student Health Cover (OSHC) when you accept your offer to join our institute . The institute will then pay health cover on your behalf if you include this as part of your fees payment to the institute. 41. Can I change my visa once I am in Australia? 42. Can I leave Australia and re-enter? 43. How do I apply for a student visa? You first need to complete the BIA Application Form. Upon approval of your application, we will issue a Letter of Offer and written agreement which will indicate the course and the fees to be paid. You must then pay the fees indicated as well as the Overseas Student Health Cover (OSHC). Upon receipt of payment, we will issue you with a Confirmation of Enrolment (CoE) which you can then use to apply for a student visa at the Australian Mission overseas. You will also be asked to provide a medical report signed by the Australian Consulate General approved panel of doctors. For more information on your visa conditions, please visit Department of Immigration and border protection website. 44. What are the nationalities of your students? 45. What is Sydney's time difference? 46. Can I apply for a student visa online? Yes, you may be eligible to apply. For more information, please visit Department of Immigration and border protection website.